Exams, like death and taxes, are inevitable. That doesn’t mean everybody sits down for a thorough study session before their big test, however. Studying can be exhausting, time-consuming, and — honestly — not all that exciting. 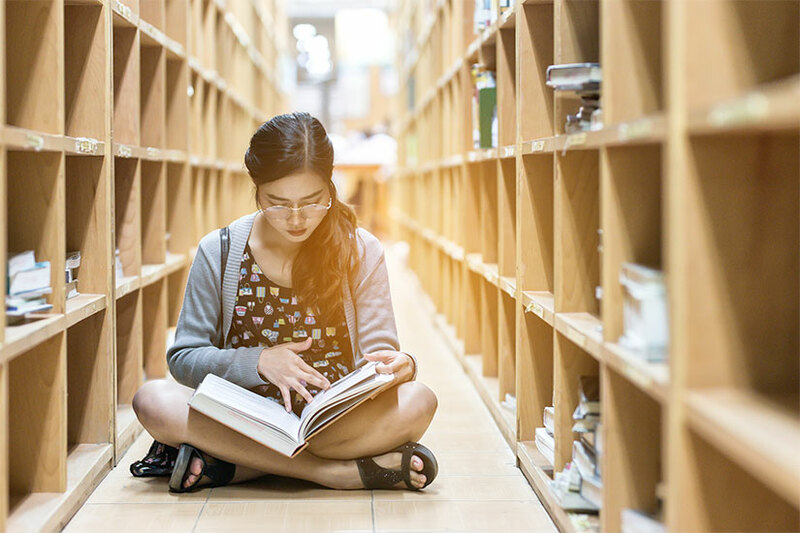 Our friends over at Barnes & Noble College’s blog the College Juice are all about making this dreaded task a little less painful, so if you’re ready to tackle your next exam with confidence, check out some of their top study hacks below! 1. Jog your memory with exercise. According to studies, physical activity is actually associated with improvements in learning and memory retention. Most studies suggest exercising before your exam, so consider ditching your car and walking to class instead! Not only does studying in groups allow you to pick up on any information you missed during lecture, but it also forces you to verbalize the information you’re studying. Why is that important? You’re more likely to remember information when you repeat it out loud! 3. Take regular study breaks. Good news – you should be taking regular study breaks, so don’t feel bad when you put down the textbook to catch up on social media for a bit! Studies show that taking short breaks increases mental stamina while studying. So, how long should these breaks be? Try giving the Pomodoro Technique a shot, which means 25 minute work periods followed by 5-minute breaks. 4. Review your notes sooner, rather than later. It’s easy to completely forget about your notes until your exam approaches, but you should actually review them shortly after you jot them down! Why? There’s a little something called the Forgetting Curve, which shows the dramatic rate at which information is lost when there is no attempt to remember it. Go ahead and keep reviewing! It’s definitely no shock – when you’re well rested, you’ll be able to focus better and recall information with ease. An all-nighter cram session might sound helpful, but it’s actually only hurting you in the long run. Do you ever take a look at everything you need to study and get overwhelmed? Chunking is the act of taking all of your study material, then organizing it into smaller and more manageable chunks of information. You’ll process the information much better when you focus on each chunk, rather than every tidbit of information at once. Quizzing yourself may just be one of the most effective study methods. After all, you’ll need to retrieve answers at a moment’s notice when these questions show up on your exam, so you might as well study that way! 8. Visualize your study material. Our visual memory is incredibly strong, so use that to your advantage! When possible, try using diagrams, charts, and drawings while studying. This is also helpful for learning new vocabulary. Instead of simply writing the word and definition, come up with a picture in your mind that you feel encompasses this new word. 9. Try the gum or scent method. This one might seem a bit out there, but it’s worth a shot! Some theories suggest that chewing a piece of gum while you study, and then chewing the same flavor during your test will help jog your memory. Some people swap the gum out and use a scent, instead — such as wearing the same perfume while studying and taking the exam. Check out Barnes & Noble College’s blog, TheCollegeJuice.com. Do you have some fresh study tips we missed? Share with us on Facebook.